During an exceptionally cold snap I wandered around the area near Strathbran including the delightful Loch a Chroisg where I entered a magical land of thick ice and hoar frost. It was so cold that during the three days I was there the temperature never once rose above minus ten celcius. 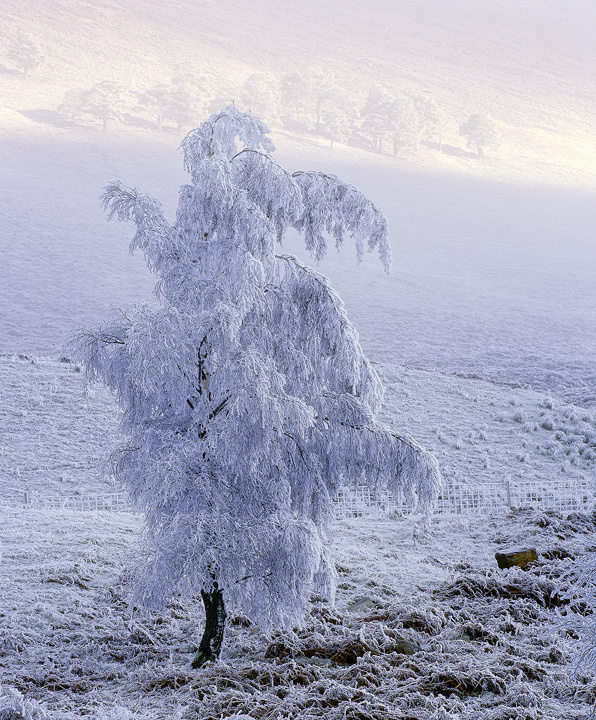 A true winter playground for me I shot this iced up birch tree through against a misty backdrop hugging the hills beyond.